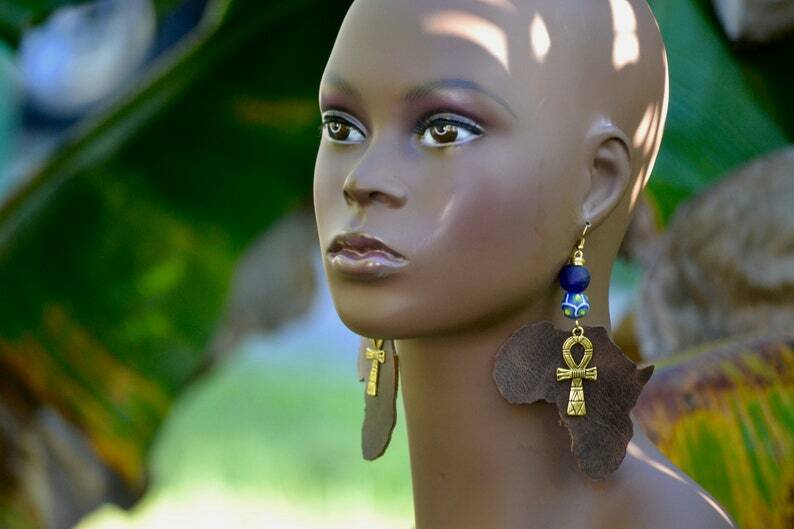 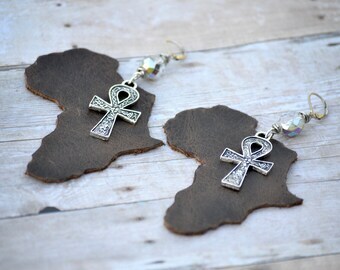 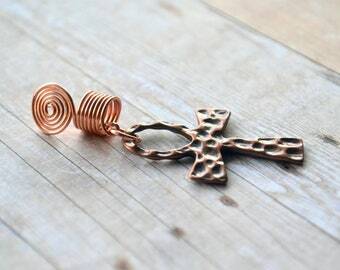 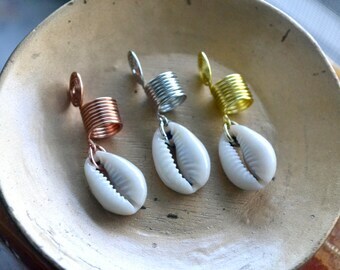 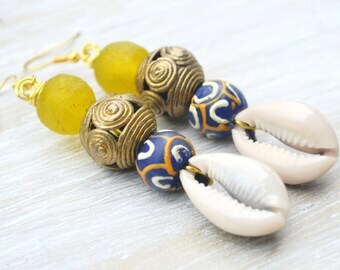 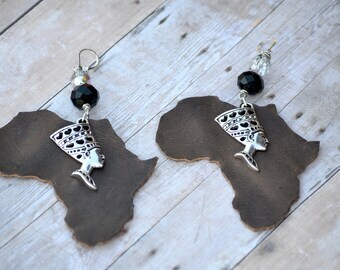 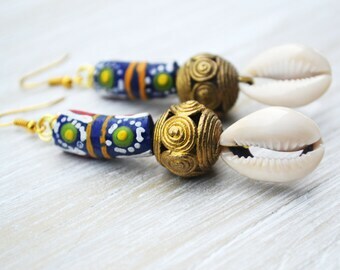 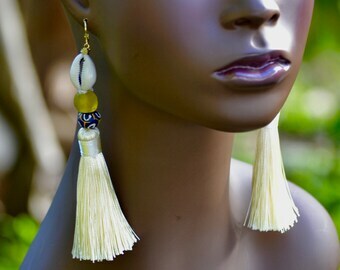 Brown Africa leather earrings are made with real leather shaped into the African continent. 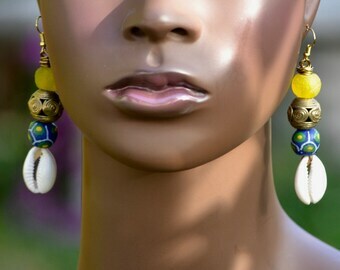 Gold ankh charms hang from hand painted Krobo beads and glass beads from Ghana. 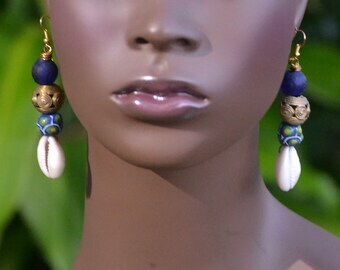 Earrings are finished off with gold earwires. 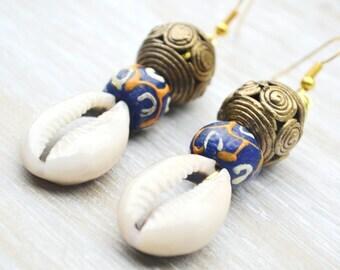 Krobo beads are a traditional bead from Ghana. 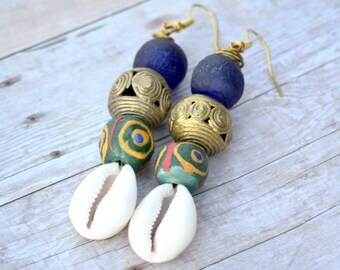 Worth the wait - really fabulous!